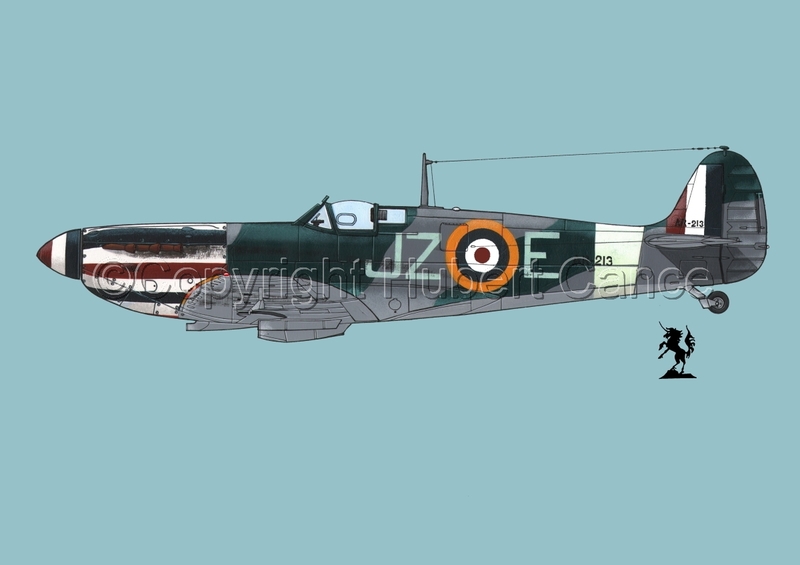 Supermarine "Spitfire" Mk.Ia, AR-213, JZoE, Pilot/Instructor: "Ginger" Lacey, of the 57th. OTU (No.57 Operational Training Unit) / No. 557 (RAF) Squadron, at RAF Hawarden, in August 1941.